The monetary rewards potentially on offer makes a career in the financial services sector a very appealing prospect to those who feel they have the interest in, and aptitude for, this ever growing area of business. Financial services is the area of business most closely associated with money, value and property. Every organisation or individual utilises financial services and benefits from them and the individuals who advise and manage those activities are in line for top financial rewards. The BA (Hons) in Financial Services is a course designed for the potential financial managers of tomorrow. It focuses upon the most dynamic aspects of financial services. Students learn about the core mechanisms and operations of financial markets and develop proficiency in the analytical techniques required for a wide variety of careers in financial services. Carear Path A career in the financial services sector can lead to a variety of employment opportunities at home and globally in the areas of finance, governance and risk management. 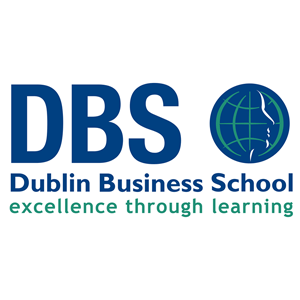 Graduates from this programme in DBS mainly work in areas such as fund management, commercial banking and finance, insurance / re-insurance, professional accountancy firms and the regulatory environment. This programme provides students with a specialised education in financial services within an overall business environment. The Financial Services Sector is one of Ireland's success stories and it has recovered well from the recent economic turmoil. It is one of the largest employers of graduates. This programme also provides a basis for students wishing to pursue further academic and professional qualifications.